Hi, I’m DotDotDot or just Dot for short. 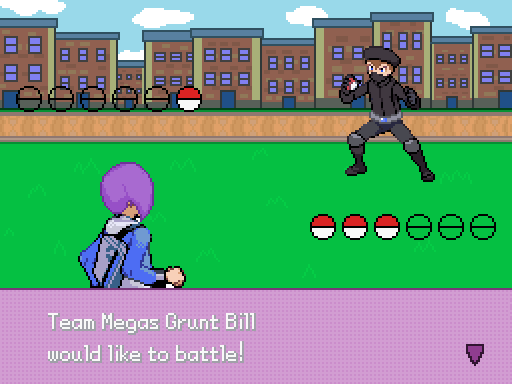 Ever since I was a kid I wanted to make a Pokemon game. 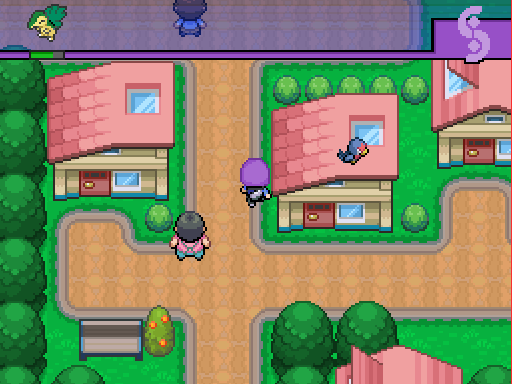 I even found a website that let me make a Pokemon town in the Gen 3 style and I had a lot of fun with that. 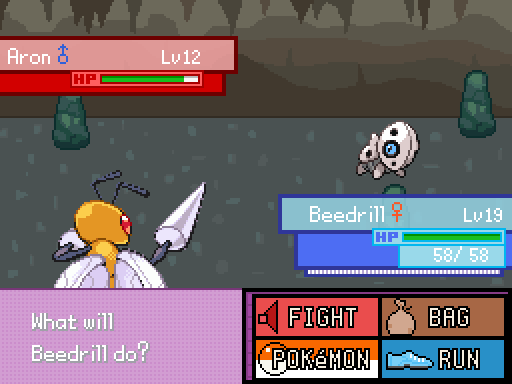 Then I discovered hacking, and long story short, after multiple attempts ,and failures, at making a Pokemon hack I gave up and thought that making a Pokemon game would be impossible. 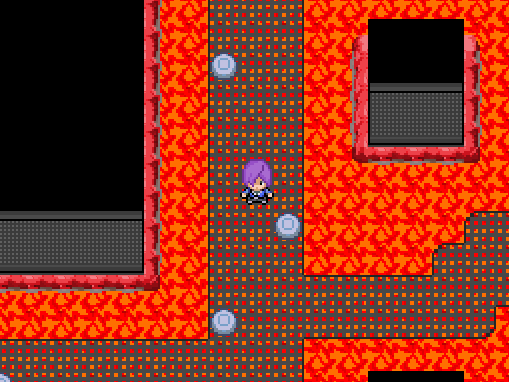 Until one day a youtuber by the name Munchingorange introduced me to Pokemon games made in this thing called RPG maker and after some googling and a few tutorials from a certain atomic reactor I was on my way to finally make my own Pokemon Fan game, and now here it is. 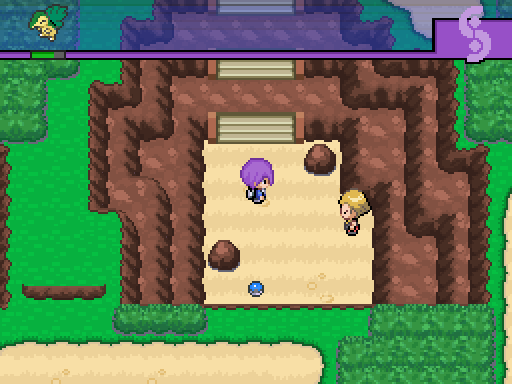 If you're one of the five people that played Pokemon Purple back on the old relic castle I'm both sorry and happy to say that the game has bean almost completely redone. 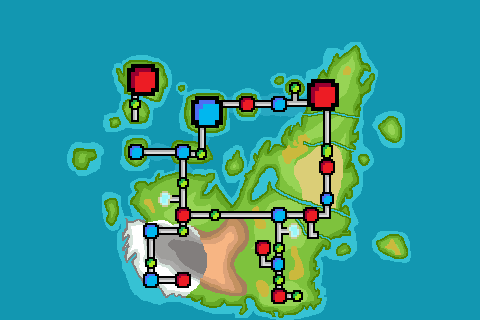 Most of the maps are the same but the Pokemon, New forms, Dialog, Gym leaders, Gyms, and more have bean changed (And hopefully the spelling) for the better! The story starts out a bit differently than other Pokemon games; with a flashback of you dad and and his two friends on there adventure. 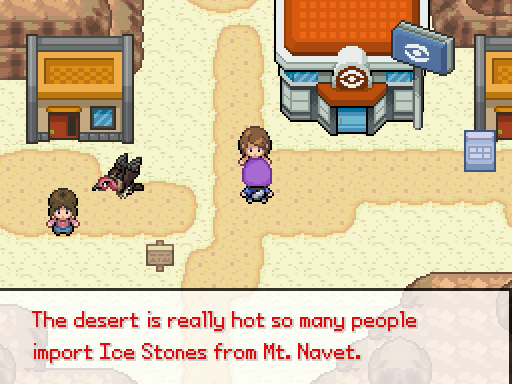 They find some mega stones in a cave and after an argument one of the friends leaves to never been seen again. 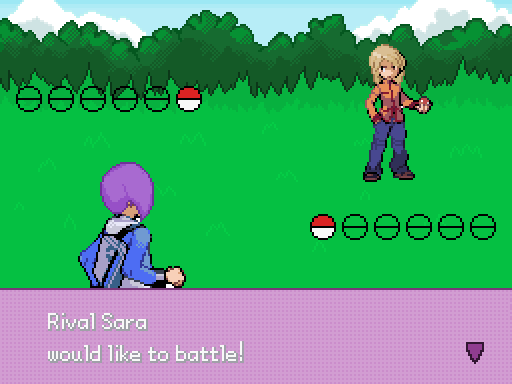 In the present day you play as a purple haired boy going on his very own Pokemon adventure and following in his dad’s footsteps. Upon getting your first Pokemon you decide to save fighting your father, who is the current gym leader of your starting city, for your final battle so that you can both be at your max strength. 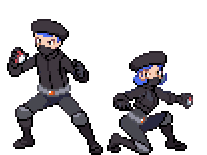 Eventually on your adventure you meet a group of people that call themselves "Team Megas." This group seems to want Mega Stones and the three grunts you constantly run into keep mentioning something about a "secret ability" involving Mega Evolution even though they have no Mega Stones or Keystones. They also seem to have some sort of mass teleportation ability. Who are they? What happened to Tomson? What will happen next? Will spider-man be late to the prom? I promise at least three of these and MORE! 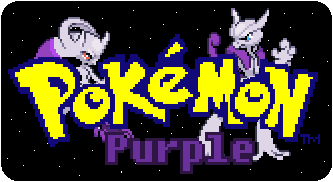 will be answered in Pokemon Purple! He’s the main character of the game and the son of the Feather City gym leader, whom is one of the strongest trainers in the region. This makes him a bit arrogant and he’ll usually go for that challenge when given the option. Sometimes he tends to annoy people with his smart aleck comments. He also hates it when people make fun of his hair. She's a Gary Oak type Rival. 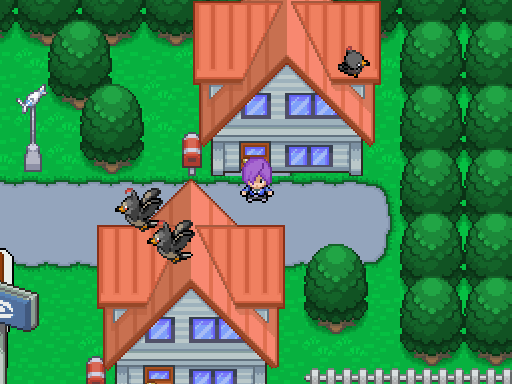 She's bullied the Hero for years and despite getting her Pokemon first she decides to wait outside the town just so she can prove that she's a better trainer than you from the beginning. Tori isn't teachncilly a rival but I would still say she's kind of like a mixture of Bianca and Trevor. 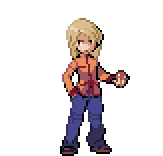 She was the only kid in Hana City old enough to go on an adventure and due to process of elimination she wasn give a Pokemon and a Pokedex by prof. Pine. She is very dedicated to filling out the Pokedex much to Prof. Pine’s surprised who thought she would lose it within to days. He's actively pursuing Team Megas under orders from his "Master" whom Team Megas are scared of. He also knows exactly how many Gym badges you have despite you never meeting him. There's also a weird looking stone in his hat. This group has only recently popped up in the region. They seem to they just appear and disappear around the region. Whenever they do appear they do two things, cause mayhem ,and seek-out Mega Stones/Pokemon with the potential of Mega Evolution. Fixed the Sable City thief's quest(If you already activated the quest in V. 2.1 then you'll need to go back the hideout and talk to a woman in the chest room. (Not techniclly in the game but )I made a PDF of all the Pokemon Changes I did. I'm not sure if I'm using everything being credited but better safe then sorry. How I can get the totodile is that matters which starter I will pick to get it or I can choose from the three ? If its matters which starter I need to choose to get totodile in the game? Yo this game looks lit! Will definitely give it a go, and give feedback of course, though, I'm not one to criticize haha. So how much game is there? How completed is it? 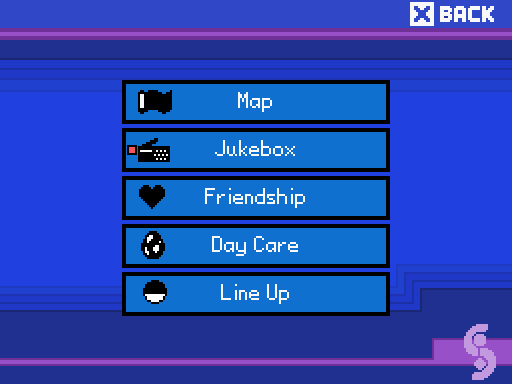 Hello, just discovered your fan game and it looks great!! 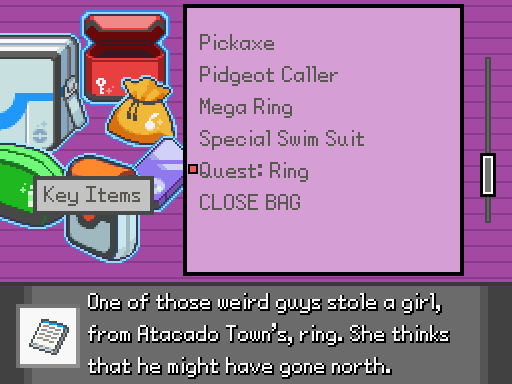 I am on route 1 and loving the intro story so far... Also a big fan of pokemon re-typings! Surprised I haven't seen a playthrough of this in YouTube.